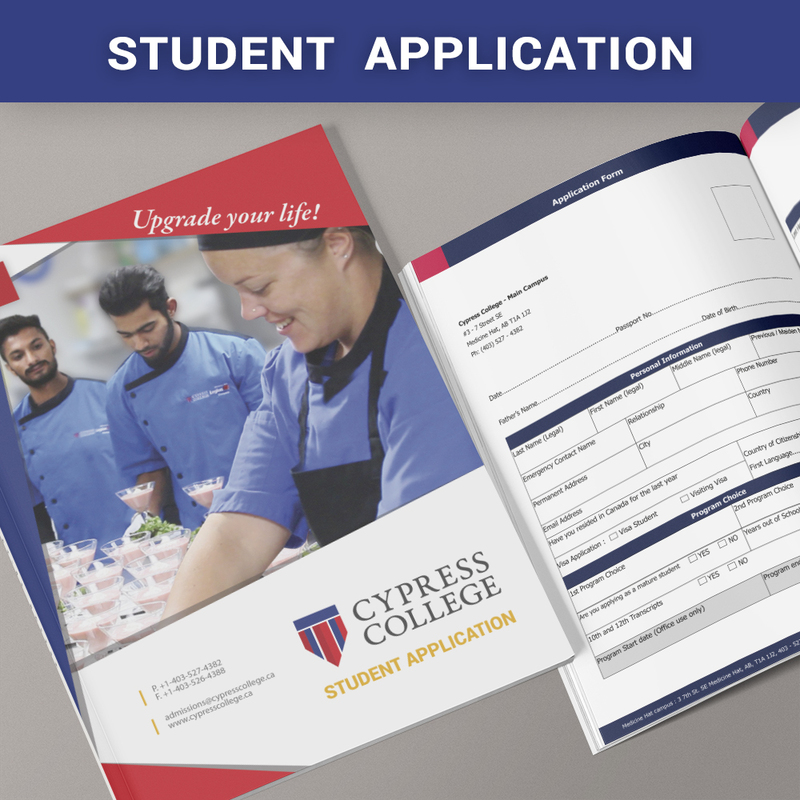 All of the program information, pricing and information to get started at Cypress College is available in our student handbook here. When you are ready to apply to school, fill out an Application Form and pay the application fee due. 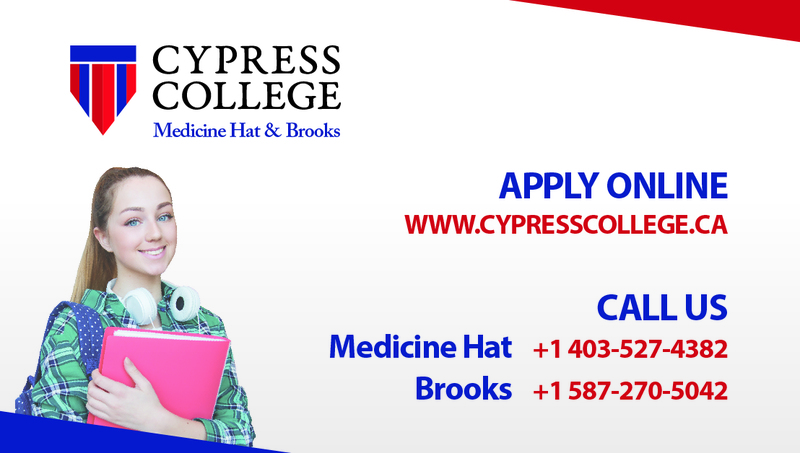 Currently Cypress College can assess educational transcripts from Brazil or India. Currently Cypress College can assess educational transcripts from Brazil or India. If your credentials are for a different country you will need to submit your transcripts to Alberta’s International Qualifications Assessment Services (IQAS). IQAS charges a fee for the assessment which takes an average of 4-6 months to process once they have received a complete application. Request that IQAS send a copy of the assessment directly to Cypress College at the address below. Submit copies of transcripts with your online application. You can e-mail your application to your student services coordinator (See phone numbers above) . If you are accepted into program, Cypress College will require formal transcripts to be sent. This applies to both students currently living in Canada and those not yet in Canada. If your transcript is in a language other than English, it will need to be translated prior to submission. Official transcripts must be final and sent directly to the Office of the Registrar from the issuing institution. Faxed or copies submitted in person can be used for conditional admission, but official transcripts are required to receive clear admission and attend classes. Meet English Language Proficiency Requirement (ELP). IELTS minimum score of 6.5 (*6.5) overall, with at least 5.5 (*6.0) on each band score. You must take the Academic level of the IELTS test for admission purposes. See Calgary's only Official Test Centre for more information. Applicants must also meet all other program admission requirements including the English course and minimum grade required for the program. Students can obtain coverage from a private insurance company. You are encouraged to check with a few insurance companies as rates may vary. Admitted applicants are responsible for all of their visa, travel and financial arrangements. The compressed schedule saves money paid in rent and accommodations while studying in Canada and is preferred by our students. For information on Studying in Canada and to apply for a Study Permit, please go to the Citizenship and Immigration Canada web site. Students are required to demonstrate that they have housing arrangements in place before arriving. Cypress College Student Services can help you make arrangements. Students are also welcome to rent other accommodations as they desire. E-mail student services: for more information.